I have an appointment Sunday for acupuncture. 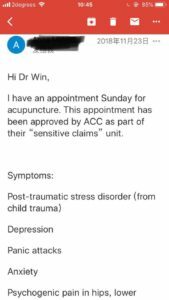 This appointment has been approved by ACC as part of their “sensitive claims” unit. I have been working with a psychotherapist for 3x years and am currently working on movement as well as repairing my body. I have panic attacks when my heart rate is elevated so I take walks, gentle yoga, meditation, and healthy eating. 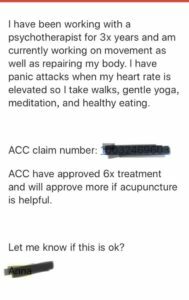 ACC have approved 6x treatment and will approve more if acupuncture is helpful. 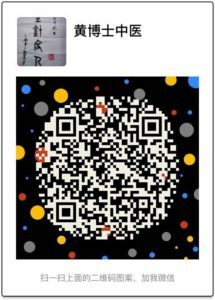 I have been advised that my client recently came and saw you for acupuncture treatment. 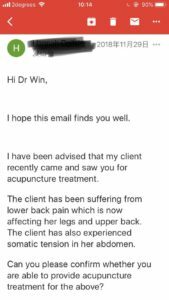 The client has been suffering from lower back pain which is now affecting her legs and upper back. The client has also experienced somatic tension in her abdomen. 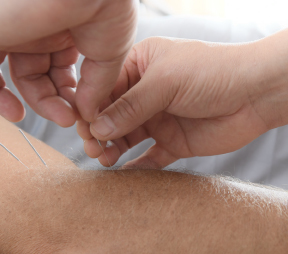 Can you please confirm whether you are able to provide acupuncture treatment for the above? 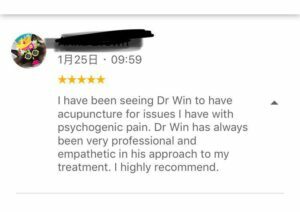 I have been seeing PhD Win to have acupuncture for issues I have with psychogenic pain. PhD Win has always been very professional and empathetic in his approach to my treatment. I highly recommend. Above is the review in my google map.